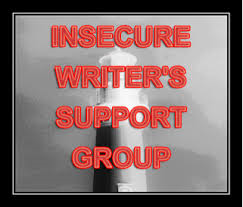 It's that time again for IWSG, which does exactly as it says on the tin! Life happens, but hey that is just fuel for when you do write. Sometimes we need life to take over. Insecurity does have a way to drive us, doesn't it? There is always this month to write and become neurotic again. Happy New Year.